I spoke to some experienced geologists who work in the Geological Survey of South Australia (GSSA), within the Department of Primary Industries and Resources of South Australia (PIRSA), particularly Senior Principal Geologist Wolfgang Preiss, and also to Jeff Olliver, a consulting geologist who has worked for PIRSA’s precursor (the South Australian Department of Mines and Energy) and who is one of the key drivers and contributors to this project. Along with Wolfgang and Jeff the other two key people involved in producing the map and text for the Geology of the McLaren Vale Wine Region are the geologist Bill Fairburn and wine writer Philip White. Philip was the wine writer for The Advertiser for many years and now writes for The Independent Weekly. Back in Adelaide, Bill presented his findings and suggested that we do something similar in South Australia, essentially to map the relationship between rocks and wine. He started to work on this project in McLaren Vale and produced an early version in 2000. More recently, the chair of the McLaren Vale Grape, Wine and Tourism Association (‘the Association’ – located at the Information Centre at the entry to McLaren Vale), showed an interest in producing a larger and more comprehensive map. Bill had returned to England to live but came back for this project in late 2008/early 2009. So the team was set – Bill, Jeff, Wolfgang and Philip. The resulting map was released by the Association on 14 July 2010, with the launch attended by hundreds of people. The map covers the region from O’Halloran Hill in the north to Sellicks Hill in the south. Why should wineries be interested in the rocks beneath their vineyards? As the text with the map clearly explains, viticulturalists have long been concerned about soil types. To the geologist soil is the result of surface weathering of underlying rocks due to the atmosphere, water, soil organisms and changing physical conditions: “soil is usually a thin overlay on parent rock which the vine roots quickly encounter. Hence the need for this geological map”. The water that is taken up by the grapes “comes through the vine roots with the flavour influenced by organic and mineral composition of the ground”. McLaren Vale accounts for 25% of state grape and wine production by value and about 10% nationally. The region has a reputation for producing premium and super premium quality wines, particularly shiraz and unique grenache from some of South Australia’s oldest vineyards. McLaren Vale has the highest per litre price for exports of any region in Australia and the highest total value exports of any wine region in Australia. McLaren Vale region produces annually between 40 – 70,000 tonnes of winegrapes from 7,371 hectares of vineyard and provides greater economic returns and employment than any other wine region in Australia, relative to quantity of input. In 2010, the McLaren Vale wine region grape crush had an estimated total value of $51.4m and the region generated an overall contribution of more than $160m in tourism revenue. There are plans to produce similar maps for the significant and iconic Barossa and Adelaide Hills wine regions too. The map and text entitled Geology of the McLaren Vale Wine Region can be obtained from the McLaren Vale Information Centre and from PIRSA Customer Services in Adelaide. It is a large map measuring 84cm by 60cm, at a scale of 1:50,000, and extends from Marino to Sellicks Beach and Mount Bold Reservoir. The map shows geological boundaries and faults, and is clearly coded by colour and overprints to show the ages and types of rock in the area, while informative legends provide more detailed descriptions. Geographic features such as main and secondary roads, watercourses vineyards, 84 wineries (the 84 Association members) and the MVWR geographical boundary, are superimposed on the geology. The great depth of knowledge of this team is shared in this piece of work in an accessible yet sufficiently comprehensive document. I was not previously aware of many of the terms used for types or ages of rock so it read to me like a story book, taking me from 800 million years ago to the present day. The rocks in McLaren Vale vary widely in age, origin and composition. The oldest rocks date back up to 800 million years to the Neoproterozoic era, and form the bedrock in the Flinders and Mount Lofty Ranges. In the McLaren Vale area, these are seen in the Clarendon-Ochre Cove and Willunga Faultblocks. There are glacial deposits of bouldery siltstone dating back about 660 million years seen mainly in Sturt and Onkaparinga Gorges, both in the map area. 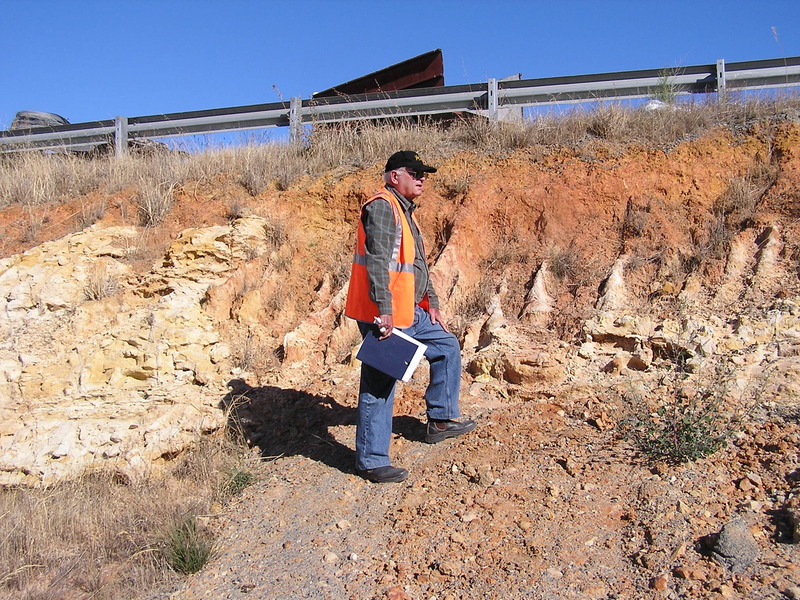 There is red Reynella Siltstone from 600 million years ago which is evident north of Hallett Cove, and hard quartzite at Ochre Point and Willunga Scarp from 500 million years ago. During the Permian glaciation about 300 million years ago, large valleys were carved out by glaciers and glacial deposits formed as the glaciers melted. At Hallett Cove, these Permian deposits can be seen overlying polished and striated glacial pavements in Neoproterozoic bedrock. Much more recently was the Eocene Epoch (about 45 million years ago) which formed the Noarlunga and Willunga Embayments, and most recently the Quaternary Period (2.6 million years ago to the present day), with alternating wet and dry periods and varying sea levels, resulting in a range of erosional features and deposits across the region. There are many more stages and ages than this, but this gives you a taste of the information you will expect to find, and the text with the map explains each stage very clearly. Today’s rock formation is thus the result of a combination of activity over time, including sedimentary deposits, glacial activity, changing sea levels, advancing and retreating ice ages, and folding and faults caused by compression/movement of the earth’s crust. The MVWR has been defined by geographical boundaries, not geological boundaries. This map divides the region into seven geological terranes – a terrane is defined as “the area or surface over which a particular rock or group of rocks is prevalent”. Wines from similar terranes are expected to have similar characteristics if climate and other conditions are also similar. The seven terranes are: Ancient Rocks, Limestone Country, Clay Plains of Aldinga, Piedmont, Talus Slope, Alluvial Flats, Sand and Sandstone. 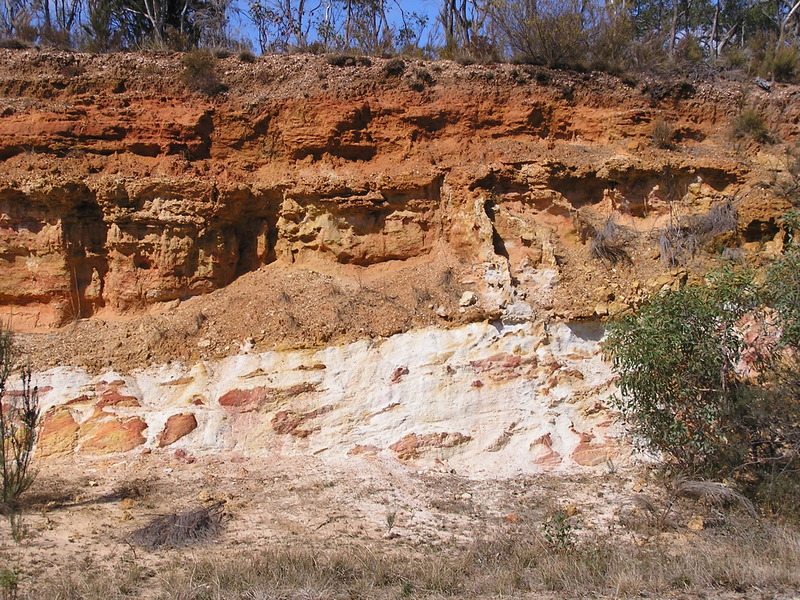 The last one is divided into Maslin Sands, Pirramimma Sandstone, Ochre Cove Formation and Semaphore Sand. Improved access to, and sharing of, knowledge of this kind will lead to betterment of the wine of the future. No wonder then that wineries are keen to be involved. The working party for this project included the following winery owners, winemakers and wine industry contributors: Chaired by James Hook (Lazy Ballerina and DJ Growers); Chester Osborn (d’Arenberg); Kevin Fidderman (Wirra Wirra); Michael Fragos (Chapel Hill): Charles Whish (Serafino); Corrina Wright (Olivers Taranga); Drew Noon (Noon) and Jodie Pain (McLaren Vale Grape, Wine and Tourism Association). Those who are familiar with the Scarce Earth project will see the obvious links (see also Tig’s article on d’Arenberg wines and reference to their Scarce Earth involvement). This project is another McLaren Vale initiative where producers have compared wines from vineyards of one type and find that there is a commonality there – particular aromas or flavours. Members of the Association were asked to submit one-year-old single vineyard shiraz with no new oak influence. A tasting panel then collated the flavour descriptors. Local council reverses zoning as result of this map! A huge local issue for McLaren Vale during 2010 and 2011 has been the council’s decision to change an area of land known as Seaford Heights from rural to residential, so it could then be developed for housing. This mapping has shown that this area encompasses Ancient Rocks Terrane, which is prime winegrape-growing land, and includes within it some vines growing grapes of Grange quality. Jeff Olliver wrote a geological summary about the soil and this contributed to the decision being reversed back to rural zoning. I am told that no geological map is ever finalised, it keeps changing. The field geologist records information about rock types and structures and plots these on a base, which may be a topographic map or one or more aerial photographs. Today, such photographs are georeferenced so that they are spatially accurate (orthoimages). Relating the maps back to the type of rock is where interpretation comes in. Sometimes geological boundaries are easily visible on aerial photographs, but some must be plotted from careful observations in the field. For this project, in some vineyards the geologists drove around and even walked some boundaries, and subsequently refined them. If you are interested in learning more about the geology of South Australia, I invite you to visit the PIRSA site and have a play with the SARIG (South Australian Resource Information Geoserver) tool. It is an amazing tool – you can click on any category on the right-hand-side – for this exercise I chose ‘geology’. Within that, if you click on the ‘+’ you can select the range of geological features to include, and using the scale on the left-hand-side you can zoom in or out of the area. This is a tool that anyone can use and learn about the geology of this region, as well as finding other features such as earthquakes, fault lines, mines, groundwater to name a few. You can get your own copy of the Geology of the McLaren Vale Wine Region from the McLaren Vale Information Centre, from a number of wineries who have it available at cellar door, or from PIRSA Customer Services, Level 7, 101 Grenfell Street, Adelaide. This entry was posted in South Australian wine, Wine news and tagged Australian wine, Geological Survey of South Australia, Geology of McLaren Vale, McLaren Vale, McLaren Vale Grape, PIRSA, Wine and Tourism Association. Bookmark the permalink.